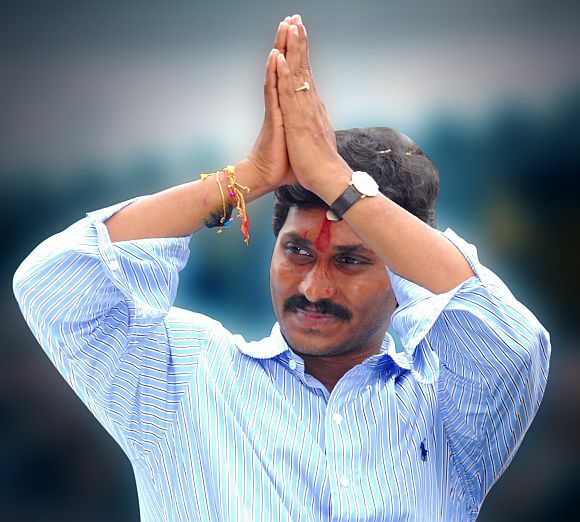 Jagan Mohan Reddy's YSR Congress is expected to play a major role in the Andhra Pradesh politics in the days to come. However, the party has often been seen as playing second fiddle on the emotive issue of Telangana, considering that it stands to benefit only if the state remained united. In an interview to rediff.com on Monday, Madhu Yashki Goud, Congress Member of Parliament from the Telangana region, charged his party colleague and late Y S Rajasekhara Reddy's confidante K V P Ramachandra Rao with influencing the party high command to delay the decision on Telangana to avoid party leaders from crossing over to the Jagan camp. However, YSR Congress leaders denied these allegations. Blaming the Congress solely, they said that the party's lack of will to make a decision was what was actually hurting the cause. Senior YSR Congress leader Gattu Ramachandra Rao told rediff.com, "It is easy to hurl allegations. The problem, however, lies within the Congress. It has not handled the issue properly and was unable to seek a consensus among its own leaders from the three regions in Andhra Pradesh. "The YSR Congress party has always maintained that it is for the ruling Congress to take a decision on the issue," said Ambatti Rambabu, another YSR Congress leader. Ramachandra Rao stated that a lot lies in the hands of the Congress leaders from the Telangana region. "Instead of surrendering the pride of the people of the state to the high command, they should mount pressure and ensure that the issue is resolved. They should not dampen the spirit of the agitation," he said. 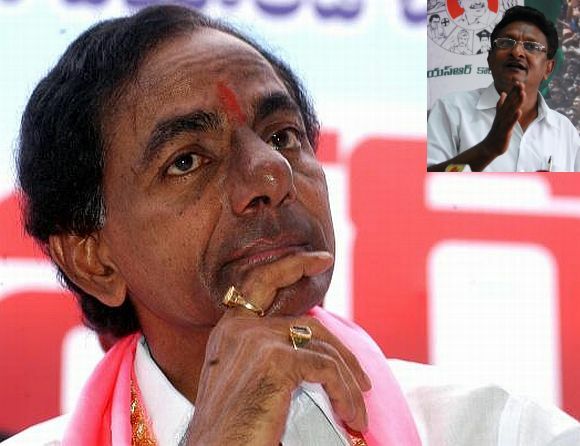 "It is very easy for Telangana Rashtra Samithi chief K Chandrasekara Rao to hurl allegations against us and say that we are not doing enough for the issue. I would like to ask him what he has been doing," Ramachandra Rao asked. "He claims to have spearheaded the movement, but has not been successful in pressurising the Congress into making a decision. On the one hand KCR says that the main enemy to the cause is the Congress and on the other he pussyfoots while taking that party head on." "The TRS has accused YSR of being anti-Telangana. That is incorrect and if one looks at the grants that have been given during YSR's regime to Telangana, it tells a completely different picture. YSR had only spoken against KCR and not Telangana. KCR has made it a habit to vanish from the scene every time the issue is burning and then he comes back and hurls allegations against us instead of mounting pressure on the Congress." "It was the TRS, which played a dirty game on the issue. We did not field candidates against those who had resigned for the cause of Telangana. It was the TRS which went ahead and put up its candidates against leaders like Konda Sureka who had resigned for the cause."